KiwiBuild is the Government’s flagship policy to provide more affordable housing for first home buyers. But affordability is a relative term and whether a property is affordable or not depends on who the buyer is. 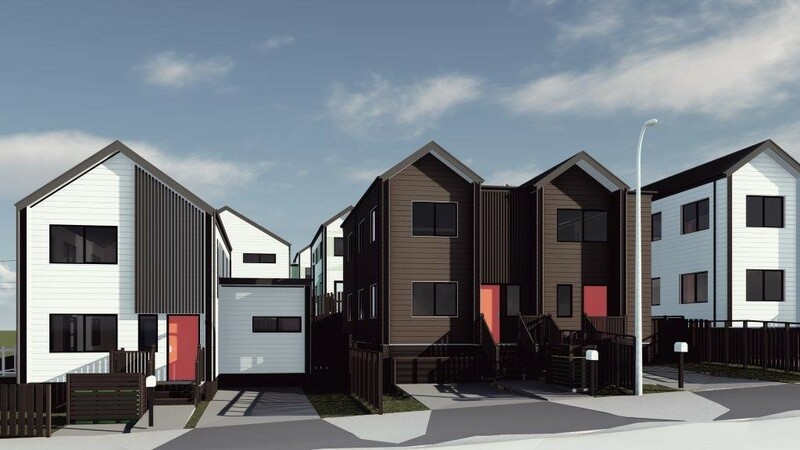 What is affordable for one person could be out of reach for another, making it difficult to judge the success or otherwise of the KiwiBuild scheme. To help address that issue, we compared the prices and income limits for KiwiBuild homes in Auckland, which has the most pressing housing affordability issues, with those that are used in interest.co.nz’s own Home Loan Affordability reports, which gave some interesting results. The prices of KiwiBuild homes in Auckland must be no more than $500,000 for one bedroom or studio dwellings, $600,000 for two bedroom dwellings and $650,000 for dwellings with three or more bedrooms. The Home Loan Affordability Reports use a different price measure, the Real Estate Institute of New Zealand’s lower quartile selling price. That is the price point at which 25% of sales would be below and 75% would be above, giving a price indication for the lower-priced or more affordable end of the market. According to the REINZ’s August figures, two of Auckland’s districts had lower quartile prices (across all housing types) which were below the KiwiBuild price caps for homes with two or more bedrooms – Papakura where the lower quartile price was $543,000 and Franklin where it was $537,000. And a quick search on Trade Me Property reveals that the number of one bedroom and studio units for sale in Papakura and Franklin is negligible, so it seems safe to assume that almost all of those sales would have been for homes with two or more bedrooms. That suggests that in Franklin and Papakura, a substantial number of the homes that are already being sold each month, most likely significantly more than 25% of them, would be selling for less than the current KiwiBuild price limits. Around the rest of Auckland, the REINZ lower quartile prices in August ranged from $632,000 in the central suburbs (within the boundaries of the former Auckland City Council, including the CBD) to $740,000 on the North Shore, mostly well above the KiwiBuild price limits. So looking at price alone, there is limited scope for KiwiBuild to improve affordability on Auckland’s southern rump in Papakura and Franklin because a significant portion of homes being sold there are already selling below KiwiBuild price limits. But there is greater scope for KiwiBuild for improve affordability in the rest of Auckland if KiwiBuild homes can be built in those areas in sufficient numbers to move the market. Of course who will be able to afford them depends on how much they earn. The income measure used in interest.co.nz’s Home Loan Affordability Report is based on the median take home pay for a couple that are both aged 25-29 and working full time. In Auckland that would give them $1626 a week in their hand (combined pre-tax income of $102,800 a year). The KiwiBuild pre-tax income limit for a couple is $180,000. Interest.co.nz calculates that after tax they would have $2620 a week in their hands, which is 61% more than the income level used in the Home Loan Affordability Reports. Another way of looking at the KiwiBuild income limit is that it is 61% higher than the median income of couples aged 25-29 where both work full time. So it’s not just for people on low or average incomes. There is no doubt that a couple earning the maximum income of $180,000 allowed under KiwiBuild would find it extremely affordable to buy a KiwiBuild home. Interest.co.nz estimates that if they had a 20% deposit…….